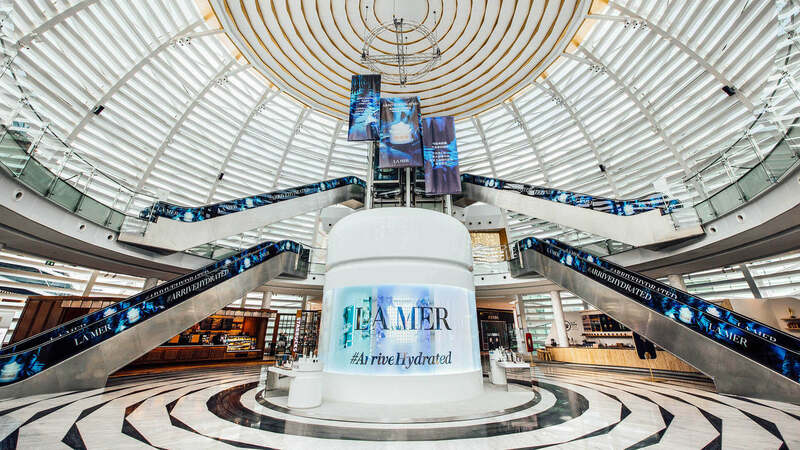 The world’s largest Crème de la Mer jar will land in Bangkok at Crown Atrium, King Power Rangnam on April 5. 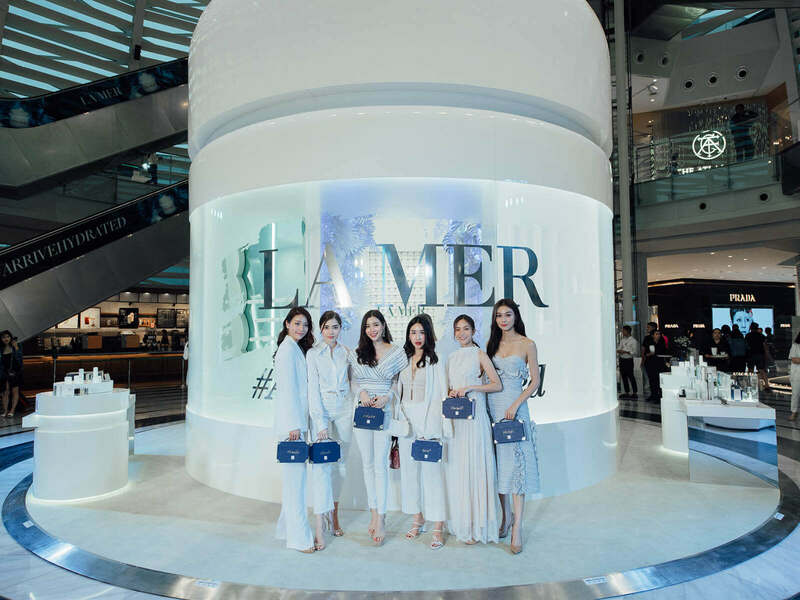 In partnership with King Power, Thailand’s leading travel retail group, La Mer is celebrating the iconic and transformative Crème de la Mer moisturizer with a larger-than-life installation of a Crème de la Mer jar measuring five-meters high at Crown Atrium. 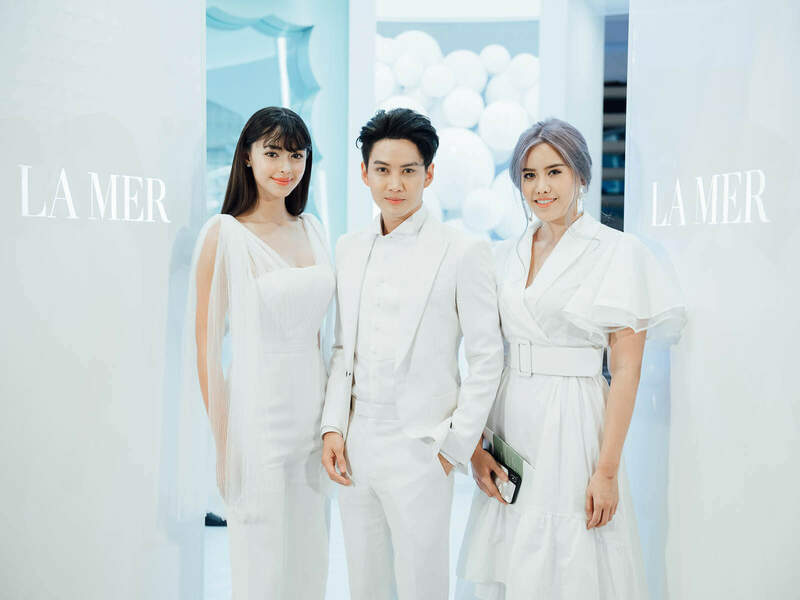 Marking the stunning installation’s debut in Thailand, customers will also have the chance to explore an immersive, behind-the-scenes look at the cult skincare brand through an exciting exhibition from April 5 – 21. 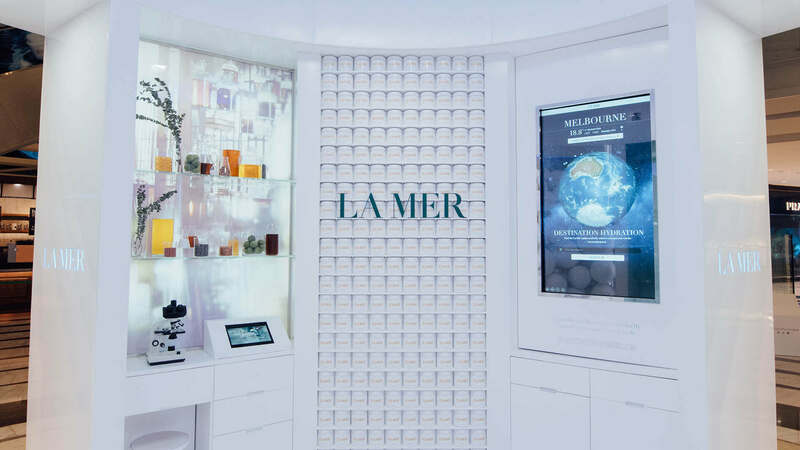 At the heart of the La Mer story is its transformative moisturizer, Crème de la Mer, conceived after 12 years and 6,000 experiments by Dr. Max Huber, who suffered burns in an experiment gone awry. 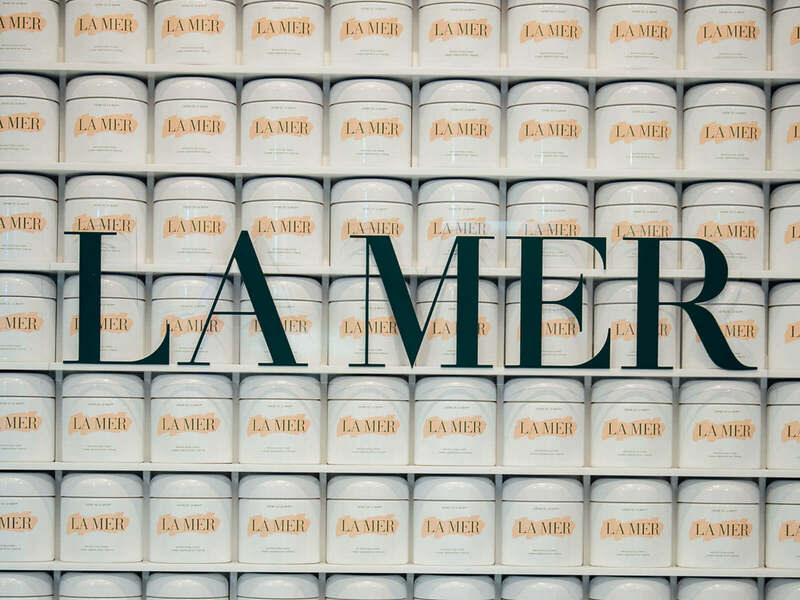 The secret of Crème de la Mer lies in the healing elixir of a cell-renewing Miracle Broth™. 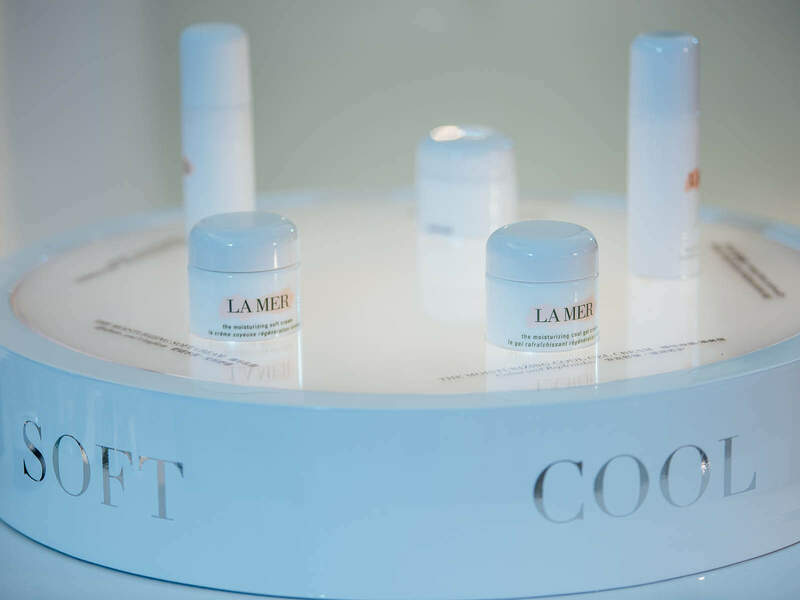 The cream infuses skin with sea-sourced renewing energies, creating a natural, youthful glow. 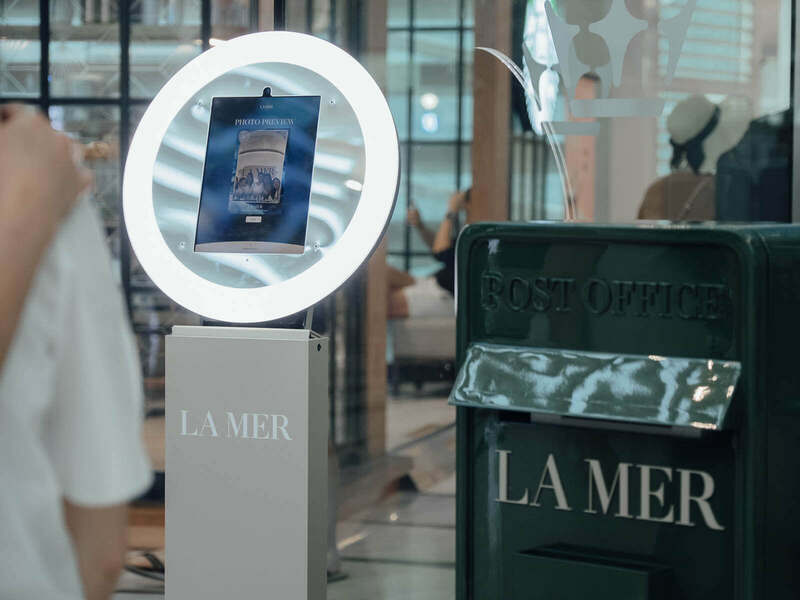 The multi-sensorial Crème de la Mer exhibition at Crown Atrium, King Power Rangnam, begins as guests step into the giant jar, transporting them into an oceanic realm, the World of La Mer, through the sounds of the sea and soft glow of underwater lighting. 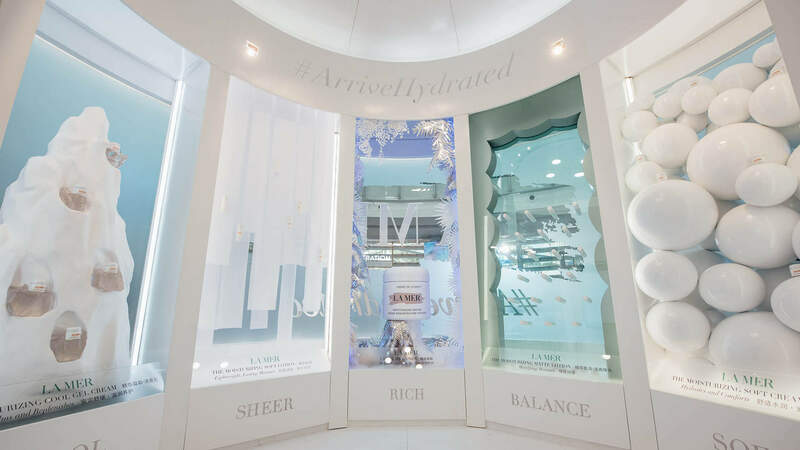 Customers journey through the five moisture textures – Rich, Soft, Sheer, Balanced, Cool – each representing a unique moisturizer of La Mer conceptualized into dynamic installations for maximum sensory stimulation. 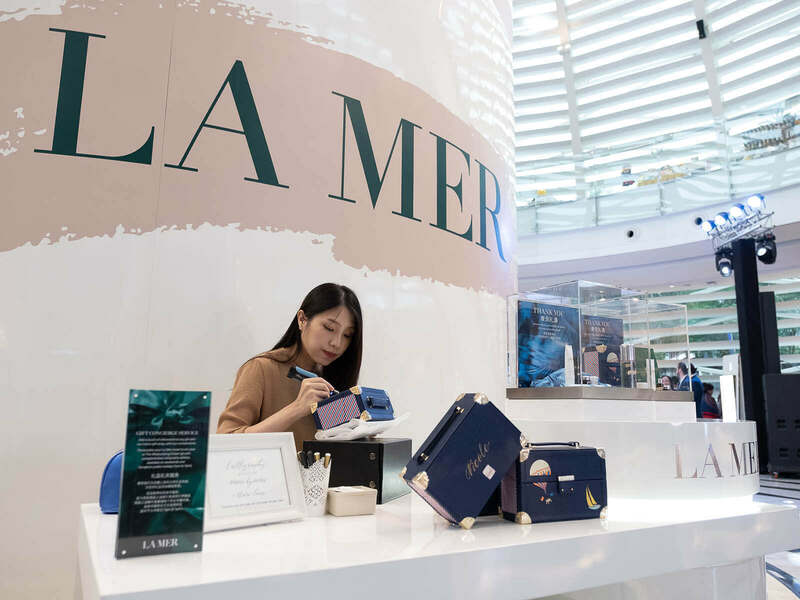 On the other side of the exhibition, guests can discover the secrets of The Miracle Broth™ and marvel at the Crème de la Mer wall, the perfect backdrop for customers and influencers to capture unique, memorable moments. 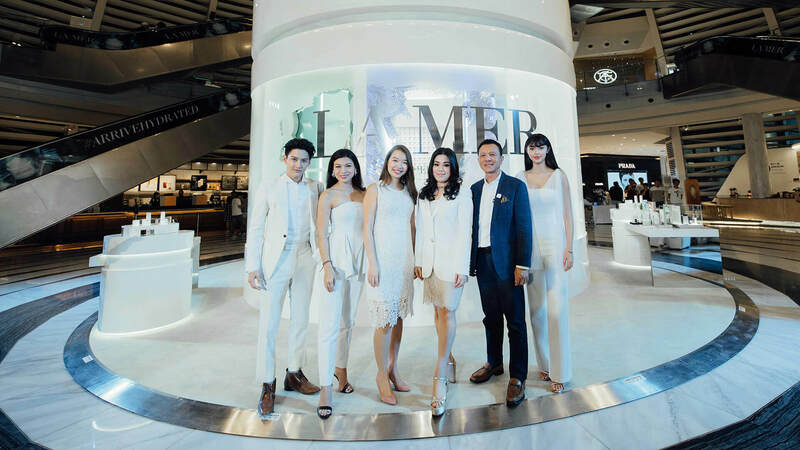 La Mer’s Skincare Artistry Experts will also be on hand to provide bespoke consultations, introduce moisture rituals and share tips on how to “Arrive Hydrated” at your destination and keep skin looking healthy and luminous from take-off to touch down and beyond. 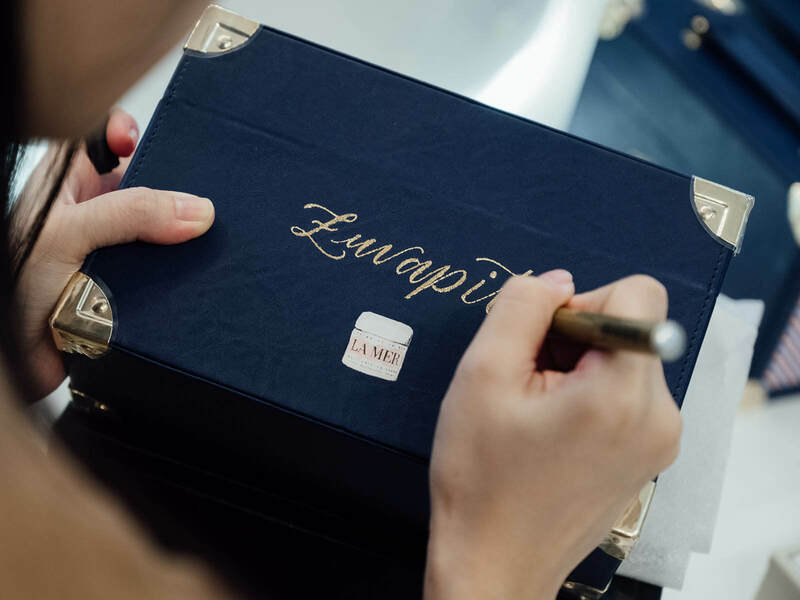 With a minimum purchase, customers will receive a complimentary La Mer luxury travel trunk case with the option of personalization by calligraphy services offered on site*. 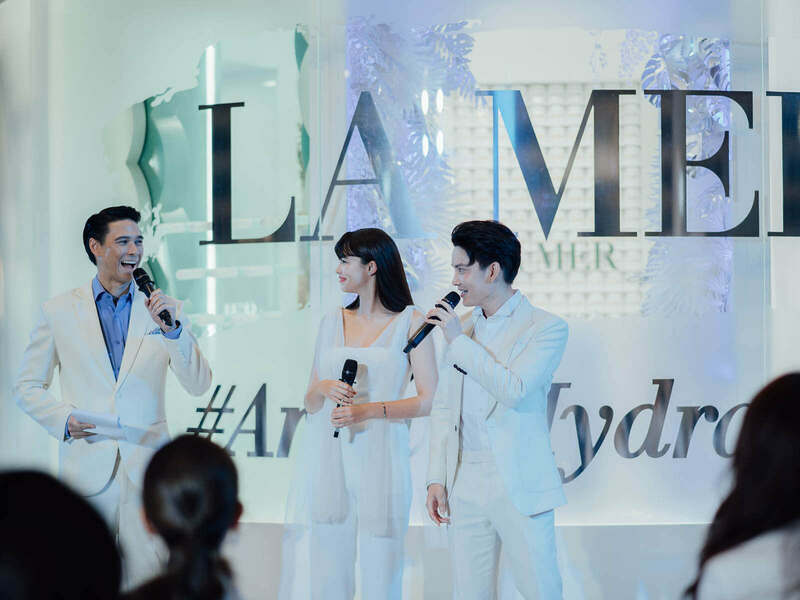 Other exclusive offers available only at the event. 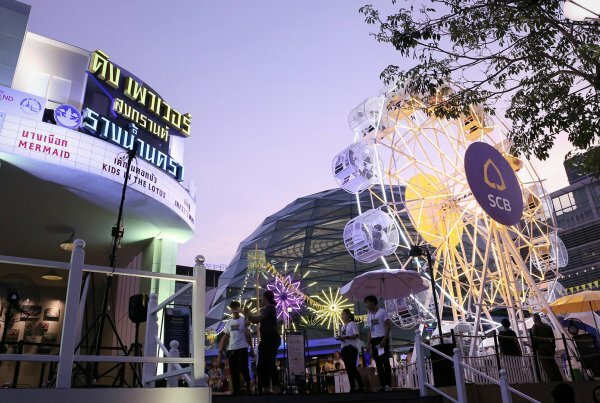 *Available only on weekends and selected dates. 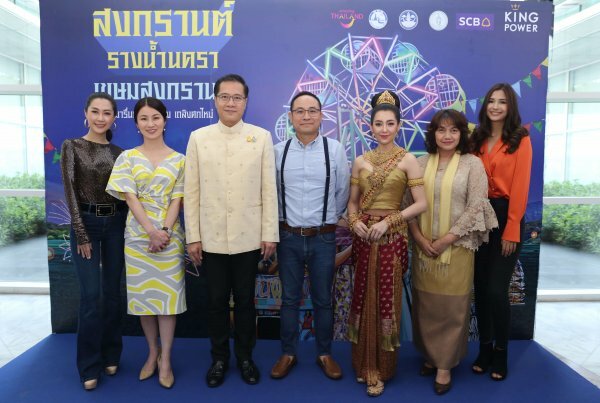 Renowned celebrities Patricia Good and Pichaya Nitipaisalkul graced the opening ceremony on April 5, 2019, and were joined by a bevy of A-list local influencers. 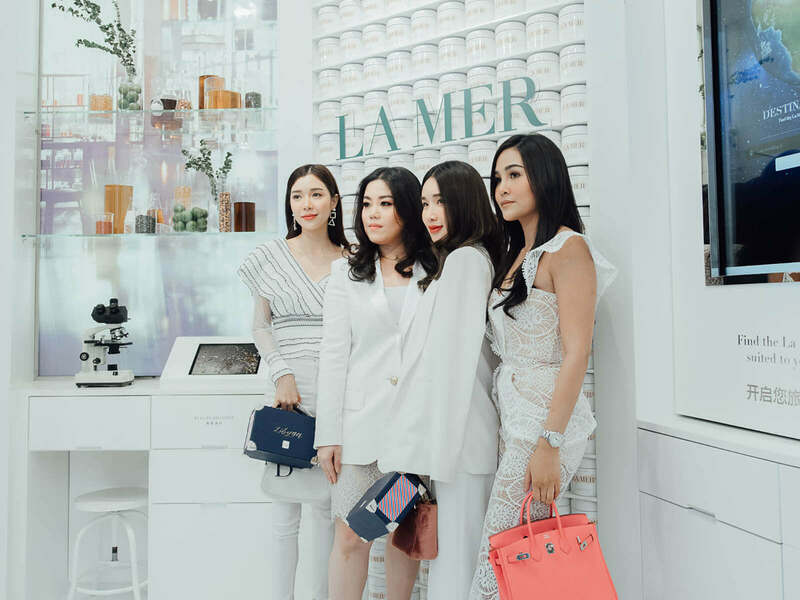 Shoppers can discover the secrets of the Miracle Broth (include TM), explore Dr. Max Huber’s lab and pose by the Creme de la Mer wall. 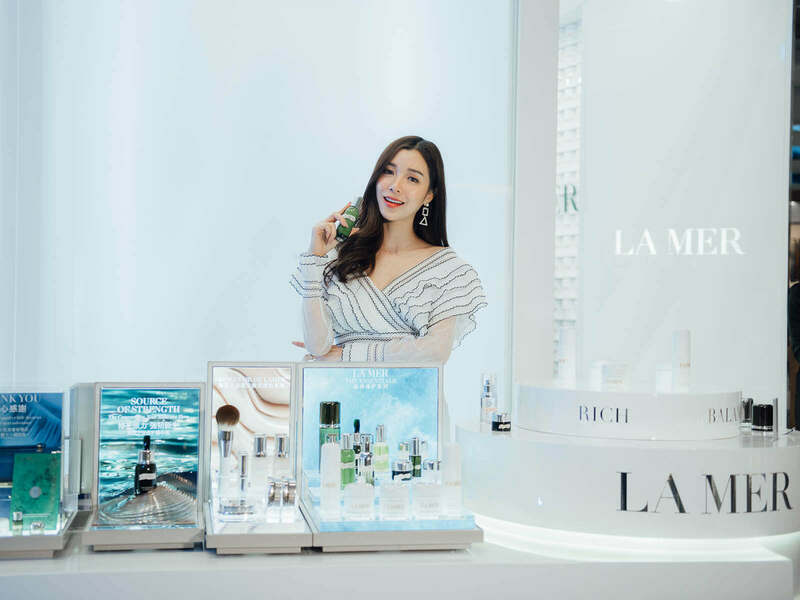 They can also visit the Arrive Hydrated interactive touch screen wall that provides information on destination and skincare tips perfectly tailored to their travel needs.